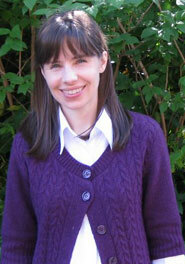 Dr Anita O'Connell is Leverhulme Trust Research Fellow at Northumbria University. As part of the project she is writing a monograph on Literary Representations of Fashionable Disease in Eighteenth-Century Literature and Culture in which she is exploring the fashionability of disease, especially mental illnesses, in eighteenth-century society. She is focusing in particular on the role of literature in creating, changing and outmoding such trends. O'Connell is also author of a forthcoming monograph on A Place of Vision: Romantic Dream Visions and the Creative Imagination, co-editor of Depression and Melancholy, 1660-1800, Volume One: Religious Writings (Pickering & Chatto 2012) and author of articles on 'Dante's Linguistic Detail in Shelley's "Triumph of Life"' (Comparative Literature and Culture on the Web 2011) and '"Kubla Khan": A Waking Dream' (The Coleridge Bulletin 2004).